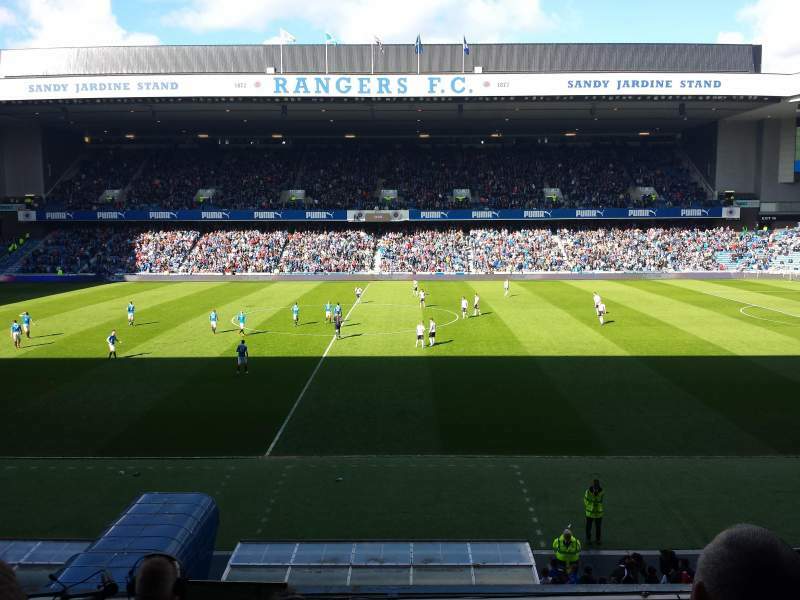 One of my goals this season for the Rangers Report is to provide a balance in how we cover Rangers & the rest of the Scottish Championship. Being a supporter of a football club & a follower of the sport in general tends to create strong, albeit, subjective opinions. Our history, memories, bias, etc. shape our opinions of teams & of players. Growing up in the 1980s, I had no hesitation to anoint Rangers as the very best team in Europe, even the world. I would refer to the championships won, the treble seasons, & the fact that we had our own Roy of the Rovers forward leading the way. An objective observer would simply point to the club’s record in Europe to debunk my claims. “Well, at least we’re better than Celtic!” All was good again. As many of you know, I have recently embraced the dark arts of fancy stats. Using analytics to provide a more complete understanding of what the ‘eyeball test’ has shown me. Much of the coverage I hope to share on this site will be rooted in the advanced stats that have emerged over the past decade or so in the footballing world. One of the more prominent fancy stats being utilized is Elo ratings, which evaluate the achievements (or failures) of football teams (both for national teams & for club teams). Basically, these ratings measure a team’s success rate based on its results & who those results are against. The catch being that more value is given to beating teams with higher ratings & less value to beating teams with lower ratings. Throughout the season, the Elo ratings will be updated as a separate page on the blog & this post will simply serve as an introduction the rating system. Worville developed an Elo rating system for Major League Soccer & I decided to reach out to him to help craft one for the Scottish Championship. His explanation of how he created his system for MLS is linked here. As much as I love statistics, I hate math – so his help was invaluable in launching my own Elo ratings. So I used the goal differential from last season, applied it to the Elo formula (with Worville’s help) & here is the initial list going into the new season. Since I had to deal with teams being relegated & promoted to the Championship, I gave St Mirren the same score as the third place team from last year (Rangers) & gave Morton just less then the worst team. These ratings will change with each & every game. But unlike the traditional standings, their adjustments will be based on the quality of the opponents. For example, if Hibs & Rangers both win their first matches of the season – Rangers will gain more Elo points given that their opponent (St Mirren) is ranked much higher then Dumbarton, Hibs first opponent. Using the formula developed by Worville – Rangers would gain ten Elo points with a win & Hibs would only earn two. Conversely, if Hibs would manage to lose that match – they would lose 18 points & Dumbarton would add those points. Draws are also part of the equation & if it is a match in which you really should be winning – a team will end up losing points. If Hibs & Dumbarton draw – Hibs will lose eight points & Dumbarton will gain eight. As the season goes on, the hope is that these ratings will give you a better sense of how well a team is performing (against stronger teams, as well as weaker teams). Now, gambling is illegal in most of the United States so I won’t be applying these ratings to any form of betting. However, if you do a simple Google search of ‘football betting’ & ‘Elo ratings’ you will see a variety of theories of how to use these ratings to your advantage. If anything, if you do embrace the information that these ratings provide, you may create your own system of how to apply them to your own wagers – if you’re so inclined. I clearly don’t condone that & am simply providing information to add to our analysis of the upcoming Scottish Championship season.